The choice to come to Berlin twice in a month was made a year ago when new season announcement came in and was driven by name of the director Terry Gilliam, reflecting on his brilliant interpretation of Benvenuto Cellini at ENO a few years ago. 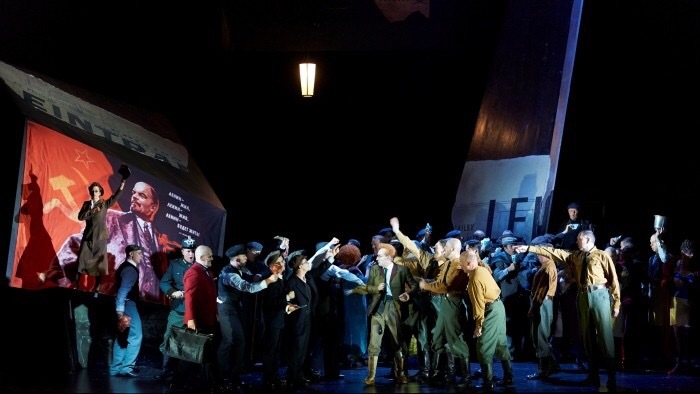 Only afterwards I learned that La Damnation in 2011 was his debut in opera direction, first shown at ENO, then transferred to Vlaamse Opera and now moved to Berlin. 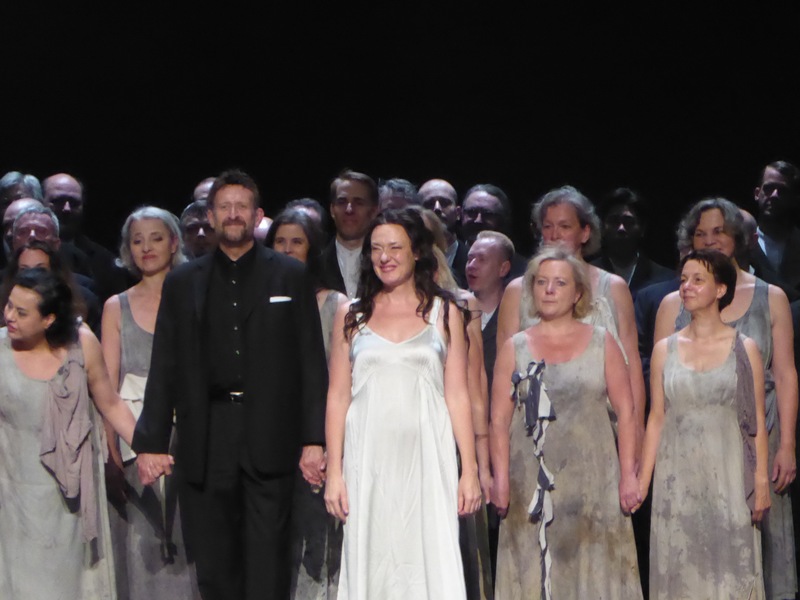 Even not being avid Monthy Python fan, the combination of Gilliam, the conductor Simon Rattle and two of the lead cast: Magdalena Kožená and Charles Castronovo justified repeated visit – and gradually pushing Berlin to my top opera destination list. This was the second production of La Damnation I have attended, the first being one directed by Alvis Hermanis for Opera de Paris with Kaufmann/ Hymel in the lead role. If Hermanis focused on the individual and his choices, projecting it to the probable damnation of the humankind and necessity to escape this world for a better universe, Gilliam tells the story of German history culminating with the damnation of national socialism and salvation of the innocent victims. His focus here is on the individual as an unwilling participant and a victim of the societal forces, either being the world war or Bolshevik revolution. The story is told colourfully and witty, with great respect to the musical score, and the only reason why there were audience members loudly booing the production is that probably Germans are not very keen to receive their history lesson explained on the opera stage by an American-born Brit. The history lesson was well illustrated by ballet episodes and smart usage of dancers as an entourage of Mephistopheles and helpful and invisible stage hands. 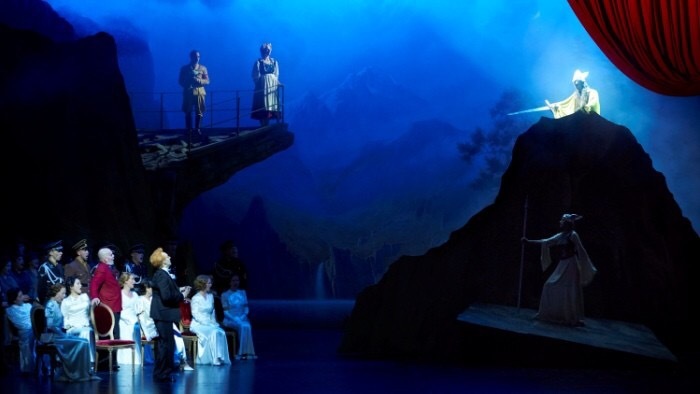 The lights and videos play a significant role in the production, especially well working in emphasising the depth of the staging and constantly reminding of the key theme of the opera. The usage of the video in the last act chasing Marguerite is clearly borrowed from the cinema toolbox but works great for adding stage dynamics in perfect adherence to the music. The key role in the opera is Marguerite, sung by Magdalena Kožená. It was a first time I have heard her performance live, and I am very impressed both by her vocal performance and advanced acting skills. She has clear, ringing top notes and full-bodied, resonating lower register, that came through convincingly in her last dramatic aria. The audience appreciated her contribution with great enthusiasm, and the praise was well deserved. 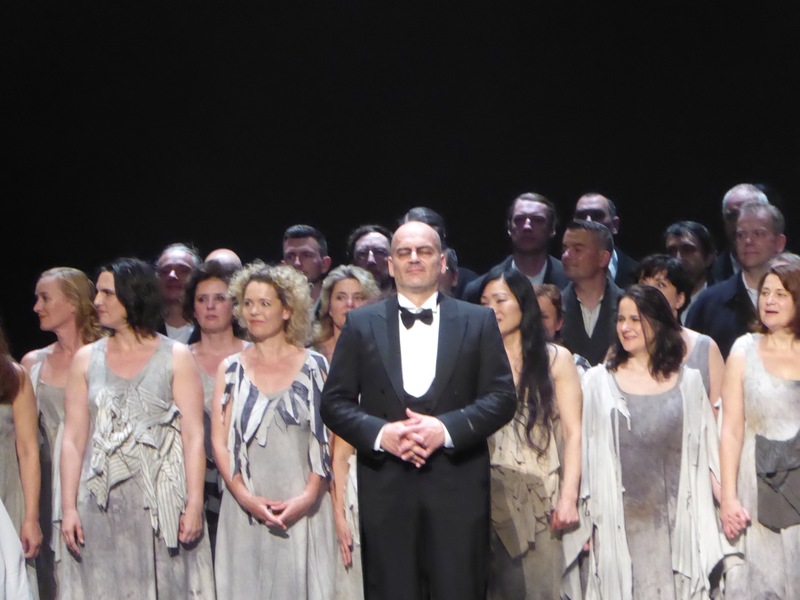 One of the most pleasant discoveries of the evening was Florian Boesch as Mephistopheles with his natural stage presence and effortless, perfectly delivered vocal line. Also, his performance was highly appreciated by the audience. The lead role of Faust, main protagonist of the opera was perfectly cast and performed by Charles Castronovo. He has very pleasant timbre and impeccable vocal technique, keeping legato line smooth and approaching high notes without any strain or pressure. He also masterfully controls his voice when going into pianissimo. Also, his acting skills and stage charisma is remarkable – certainly worth to follow this artist much closer – it will certainly bring some unforgettable performances in the opera exploration journey.